Theories about why fibromyalgia occurs are many and varied because no one really understands how it happens. One consistent problem is that the brain is not getting the right signals from the body. The thalamus is the part of the brain responsible for processing pain signals. Research has shown that those with fibromyalgia have decreased blood flow to the thalamus, more-than-likely the reason that the brain registers pain when there is very little or no pain. To learn more about the connection between fibromyalgia and head and neck injuries download our complimentary fibromyalgia e-book by clicking the image below. 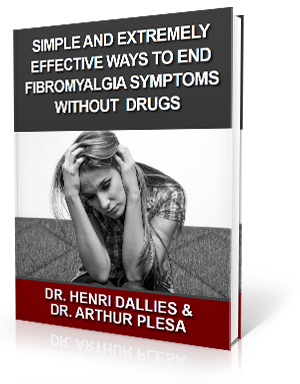 When one visits his family physician for help with fibromyalgia, he can usually expect to leave with a prescription or suggestions to change his lifestyle – neither of which work consistently. The Mayo Clinic recently reported that as much as half of fibromyalgia patients are looking for and trying alternative ways to care for the condition. One area of care seeing much success is upper cervical chiropractic care. This has to do with the underlying cause of why the thalamus is not getting proper blood flow such as a misalignment in the top bone of the neck – the atlas vertebra or C1. After using modern technology to find the exact location of this misalignment, we can then employ a method that gently urges the bones to move back into place. Once this is completed, blood flow to the brain is restored, and fibromyalgia symptoms may decrease. Some have seen fibromyalgia go away completely. To schedule a consultation with Dr. Dallies call our Hendersonville office at 828-698-6677. or just click the button below. Thursday: 9:00 a.m. - 1:00 p.m.